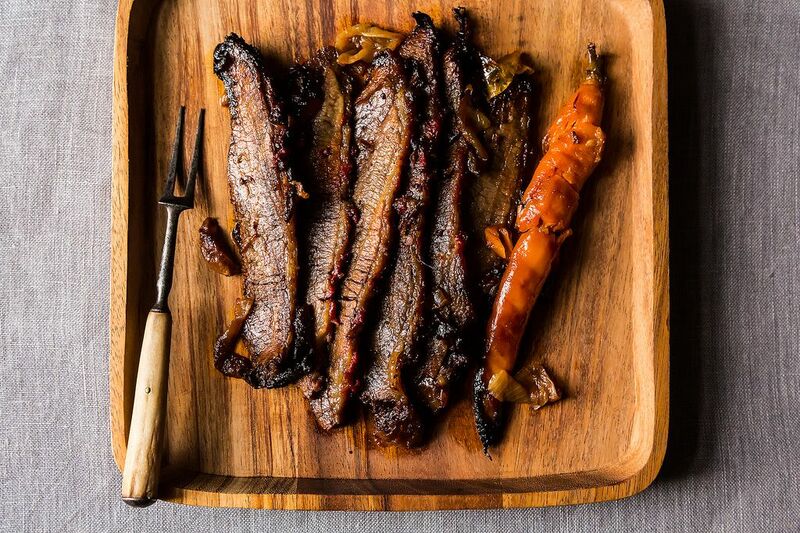 Today: A heads up to the first owners of the Genius Recipes cookbook, a printable errata sheet, and permission to use the hashtag #brisketgate. Last week, thanks to a couple helpful, eagle-eyed Food52 community members, we learned that there is an unfortunate error in the first printing of the Genius Recipes cookbook. Nach Waxman's Brisket of Beef recipe, when first published in The New Basics in 1989, called for 1 first-cut brisket of beef (5 to 6 pounds). 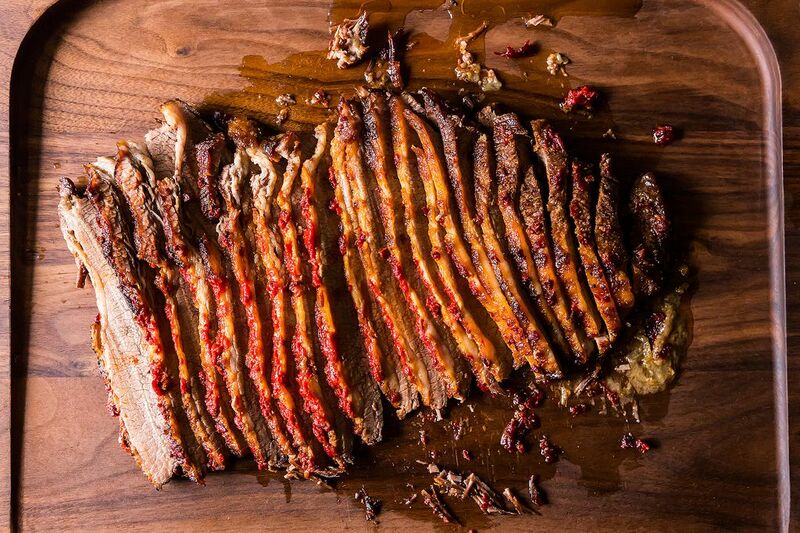 The recipe was again published in The Brisket Book in 2011 as 1 (6-pound) first-cut beef brisket. On Food52 in 2012, it was virtually the same. In the Genius Recipes cookbook, due to an early copy/paste typo that became more deeply entrenched with later revisions, it's printed as a One 16-pound (7.3kg) first-cut (a.k.a. 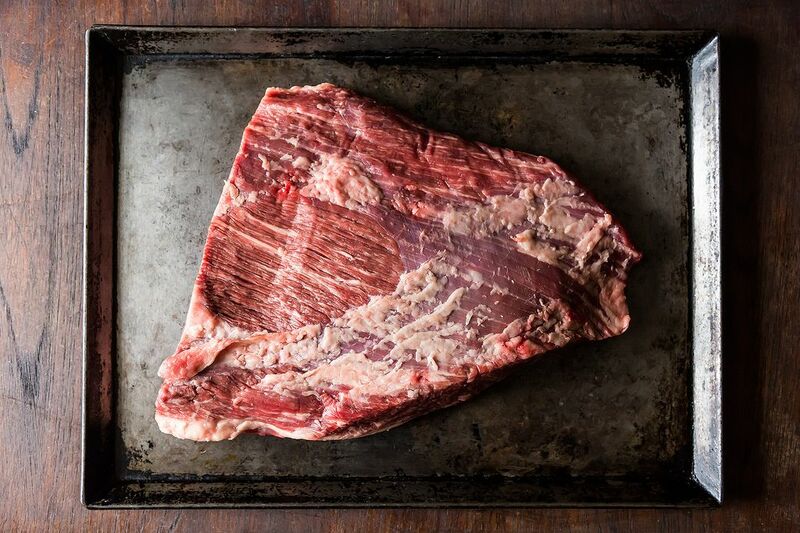 flat-cut) beef brisket, which—no matter how much grass or corn our cows eat—will probably, hopefully never exist. Waxman is a gracious genius, and had excellent advice and jokes when I told him about the snafu (or dilly, as he called it). 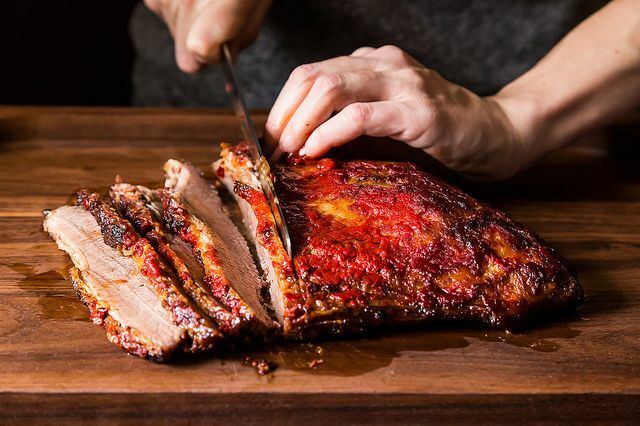 The headline of this article (MEGA-BRISKET SPOTTED. POLICE BAFFLED.) was his idea. But all jokes aside, my job in working on this book was to shepherd these recipes from the geniuses to you, and to take good care of them. I took this seriously, lost many nights' sleep over it, and enlisted as much help as I could. I feel terrible to have had Waxman's truly ethereal recipe mucked up on my watch. My only hope is that anyone looking for a 16-pound brisket will have butchers who set them straight. The flub will be corrected in future printings, and has already been fixed in ebooks, but meanwhile, I would love if you can help me get the word out (and, heaven forbid, alert me if you see other errors). We designed a printable errata sheet (see below) that you can tuck into your books and send to anyone you've gifted it to (or come to a signing and I will correct it in person!). Tweet about it; tell your friends. Mock me if you like. Here's a hashtag: #brisketgate. 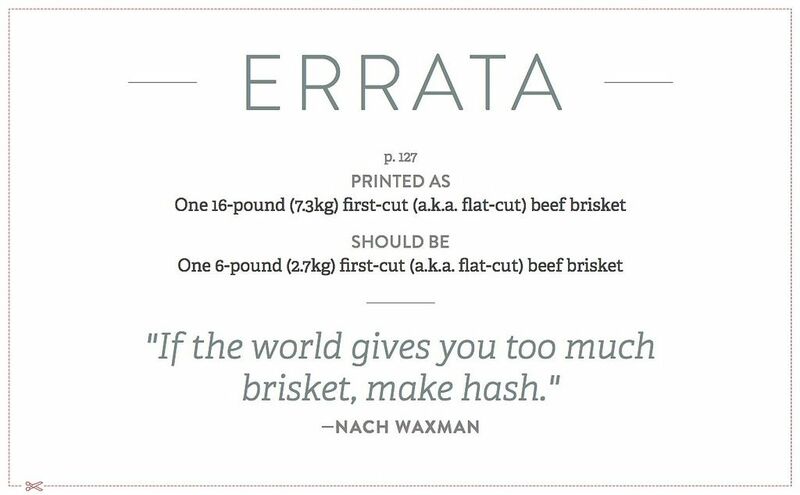 And if worse comes to worse, as Waxman told me: "If the world gives you too much brisket, make hash." To print your errata sheet, go here (or click on the image below). To learn more about the book, go here. The Genius Desserts cookbook is here! With more than 100 of the most beloved and talked-about desserts of our time (and the hidden gems soon to join their ranks) this book will make you a local legend, and a smarter baker to boot. I'm an ex-economist, ex-Californian who moved to New York to work in food media in 2007. Dodgy career choices aside, I can't help but apply the rational tendencies of my former life to things like: recipe tweaking, digging up obscure facts about pizza, and deciding how many pastries to put in my purse for "later." egads- I had to make the brisket for cookbook club. It took awhile to find a 16 lb brisket and I had to settle for 14 lbs. It fed over 20 people and and I had leftovers for two nights. It was also expensive and I am not sure we cooked it long enough. I thought it was strange that I needed one carrot and 16 lbs of meat. As a book editor, I know the book publishing process well. And I can attest that no matter how careful the writer and the team of editors are, some tiny (or not so tiny) mistakes always somehow creep in. I make annotations in many of my own cookbooks, whenever I discover an error. Many of my favorite cookbooks that are otherwise flawless contain a typo or two. I still think that your book is wonderful! First, it's an error that can't ruin the recipe because it's not like someone's going to actually find a 16 pound brisket. Second, A moment on Google will turn up the proper sized brisket. Well I know what I'm making for my next dinner party! Mega Brisket here I come!!! Everyone makes mistakes. It just gives it more character! Adorable approach to what I can only assume is a common misstep in cookbook publishing. Hope you don't loose too much sleep over it, the book is gorgeous regardless! Kristen, if that's the only typo in the book, then The Gods were smiling on your efforts. I own very few cookbooks that don't contain some errors - they contain so many stats and measurements to proof correctly. Your gracious handling of the typo is admirable. Now your grandchildren will have another fun story.....and I'm sure your relationship with Mr.Waxman is BIGGER and better because of this tiny snaffu!!! Nice wrap up! The book is still wonderful!! So many "pluses"!! Well, that's brisket for you!